Near the headwaters of the Arkansas River in Salida, Colorado, you will find a delightful venue for your holiday weekend and an opportunity to enjoy bluegrass music, food, drink, and fun for all ages. Bluegrass on the Arkansas, an annual fund raiser for the Rotary Club of Salida, will be back Memorial Day Weekend (May 25-26) this year. Our thanks go out to everyone who helped make the 2018 show an awesome success!! As usual, bands will perform Saturday evening starting at 5:00 pm in Riverside Park and again on Sunday starting at noon til 930pm. See the full schedule. This is a FREE event that our community has enjoyed for the past 15 years that draws visitors to Salida. 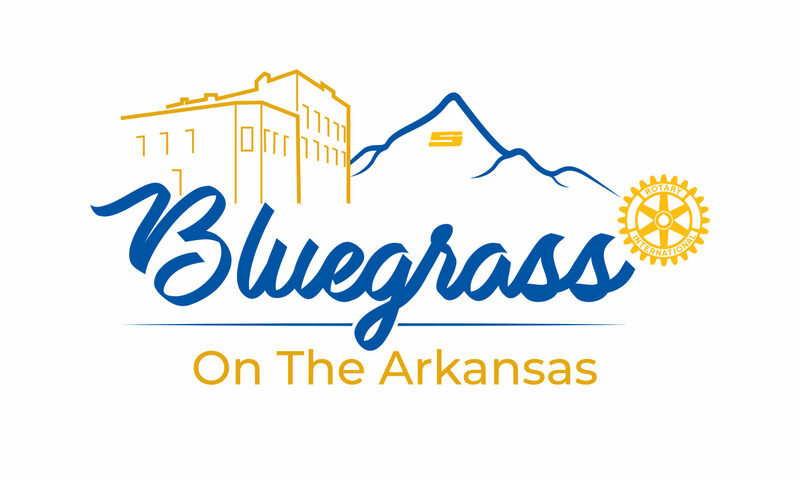 In addition to the line-up of bluegrass bands, volunteers from the Rotary Club serving a variety of food and beverages, games available for kids, and time spent enjoying the park by the Arkansas River – all make this a fun weekend. The Rotary Club of Salida serves food and drinks as a fund raiser to help the youth of our community in the form of vocational and scholastic scholarships. A selection of beer, wine, sodas, burgers, brats, and other snacks are available for sale at Riverside Park during the event. Since admission to Bluegrass on the Arkansas is FREE, your donations are encouraged in support of the Rotary Club’s scholarship fund.